Weather Channel, scurvy, 2xFlorida, Trump, head transplants, lots of tech stuff, kneel before Zod. Today is Tuesday, May 2, the 122nd day of 2017 in the Gregorian calendar, with 243 days remaining. 1,359 days until the end of Donald Trump's term as President, assuming he doesn't resign or is otherwise removed from office. 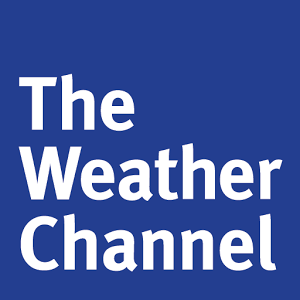 On this day in 1982, The Weather Channel, an American basic cable channel, was launched at 8 pm eastern time. The service was founded on July 18, 1980, by veteran television meteorologist John Coleman (who, at the time of the channel's founding, had formerly served as a chief meteorologist at ABC owned-and-operated station WLS-TV in Chicago and as a forecaster for Good Morning America) and Frank Batten, then-president of the channel's original owner Landmark Communications (now Landmark Media Enterprises). Originally, regional and local information was obtained by the National Weather Service for broadcast. Since 2002, all forecasting has been done on-site in Atlanta. Among other things, today is also International Scurvy Awareness Day. Florida man sets fire to girlfriend's purse, throws it over a gate, and ignites a palm tree which in turn overheats a transformer, knocking out power to a neighborhood. Bonus Florida item: Every four days, a kid crashes a stolen car in Pinellas County. They blow red lights and fly through stop signs and speed the wrong way on skinny bridges, toward oncoming traffic. They push 100 miles per hour, ram police cruisers and nearly mow down children stepping off a school bus. "The infrastructure of the US is a long-term suspension of disbelief that such things won't be exploded deliberately by people who don't create anything." At last count, I've bought this album at least four times in my life. Looks like number five is coming up... "Sgt. Pepper's Lonely Hearts Club Band" is about to celebrate its 50th anniversary with a brand new stereo mix. Giles Martin, son of the late Beatles producer George Martin, and engineer Sam Okell went back to the original tapes in order to create new stereo and 5.1 surround mixes for the "Sgt. Pepper's Lonely Hearts Club Band Anniversary Edition." Also included are early takes from over 400 hours of the "Sgt. Pepper's" studio sessions, so fans can now hear 34 previously unreleased recordings of the Beatles at work. Controversial surgeon claims successful head transplant on a rat, says humans are next. The bad news... the "patient" died 36 hours after surgery. Facebook helped advertisers target teens who feel "worthless". Facebook's secretive advertising practices became a little more public on Monday thanks to a leak out of the company's Australian office. This 23-page document discovered by The Australian details in particular how Facebook executives promote advertising campaigns that exploit Facebook users' emotional states—and how these are aimed at users as young as 14 years old. Apple's Siri-based Echo competitor to carry premium price, feature high-end audio with 1 woofer & 7 tweeters. I'm sorry, I'm not buying any of these until they actually reach near-Star Trek quality. Preferably with a facsimile of Majel Barrett's voice. "Focus is a new Chrome plug-in that helps you concentrate." Yet another anti- procrastination aid. What the heck, I'll give it a look. Although it's my rather unfocused work habits that make populating this blog every day possible. Being unemployed leads to a 50% higher risk of death in patients suffering from heart failure, said new research from the European Society of Cardiology. It's more dangerous than having a history of diabetes or stroke because of the toll it takes on a person's overall well-being. Fortunately, I'm under-employed, not unemployed. And as soon as I figure a way to get health insurance, I'll have the ol' ticker checked out.